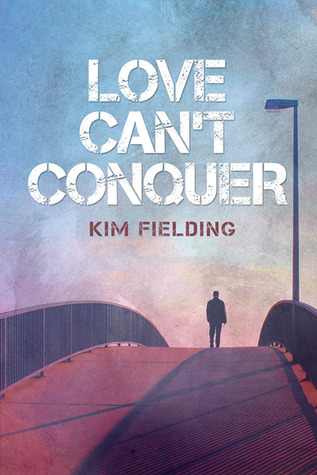 Love Can't Conquer is yet another beautiful story by the amazing Kim Fielding. Two men, both of whom have seen more than their fair of shadows. Both of whom carry baggage. Both of whom are survivors. Plus, both MC's are in their 40's, which I loved. They felt real to me. Jeremy Cox was bullied a lot when he was growing up in Small Town America in the 1980's. He was pudgy and nerdy and an easy target for other boys who felt that knocking others down was the way to be a man. So he bided his time and when he graduated high school, he got a scholarship to a college in Oregon and he hit the road and didn't look back. Jeremy did make something of himself, but he also made many mistakes along the way. He has such a good heart and he spends his life helping others. Even faced with an ex-boyfriend he hasn't seen in five years, he still can't help but try to help Donny, even though he knows it will likely be a failure. It's just who Jeremy is. Qay Hill has more baggage than a luggage outlet. He's an alcoholic and a junkie who has managed to stay clean for the past seven years. It's a struggle, though. He's been told all his life that he would never be anything else. He was abandoned by his family when he needed them most, so it really is no wonder he struggles. He thinks he's beyond redemption and that he doesn't deserve a chance with a man like Jeremy. What Qay doesn't see, though, is that he is the one that got himself out of the hole he was in. Did he need help? Sure he did, but none of it would have happened if he hadn't made such an enormous effort. Maybe it will always be a struggle for him, but he's made it this far. Jeremy and Qay really are symbiotic. Jeremy needs to be able to help others in order to feel like he's worthy of anyone. And Qay needs to let someone in, needs someone to lean on, someone he can trust to be there, even if he falls. But nothing worth keeping comes so easy. Learning to trust - not only someone else, but also yourself, takes work and courage. Qay's first instinct when faced with something good is to run before everyone figures out what a fraud he is. But he's not a fraud, he's just scared. Love Can't Conquer is a beautiful love story, full of hope and hurt and finding your way through life. It's about making mistakes, but also overcoming them. And it's about learning that it's ok to love and be loved. Maybe love can't conquer on its own. But maybe, just maybe, it can help you get there yourself. 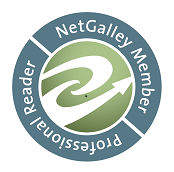 ARC of Love Can't Conquer was generously provided by the author, in exchange for an honest review.